Lat week I attended an event for local Philly Mom bloggers. I met a lot of great mom’s and got to share stories with them and showed them how to make their own paper flowers. I wanted to hand out my business cards at this event, but I wanted to do something different, so they would remember me and I wouldn’t just be another business card they pull out of their pocket at the end of the day. So I created these little goody bags. 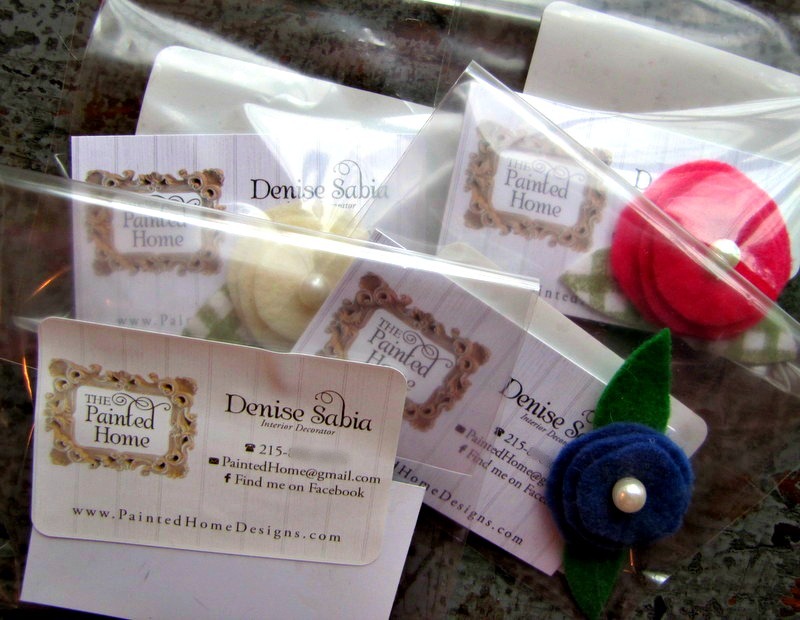 I included a mini felt flower magnet in each bag, along with my business card. Each flower was different, and the envelopes were sealed with Painted Home labels. I thought it was a cute little touch to the regular business card exchange we all do. Hopefully they’ll remember “The Painted Home” a little better because of this! They are lovely, what a fabulous idea, so clever.